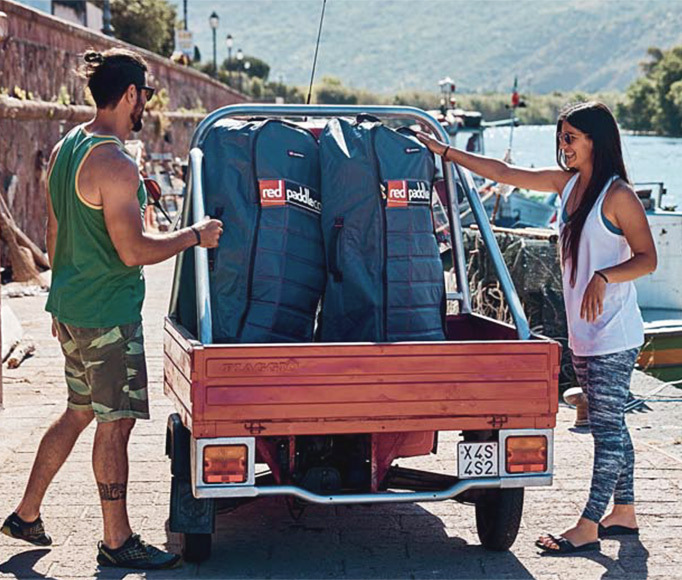 The Red Paddle Co 2019 range of Inflatable SUPs is now on our shelves. 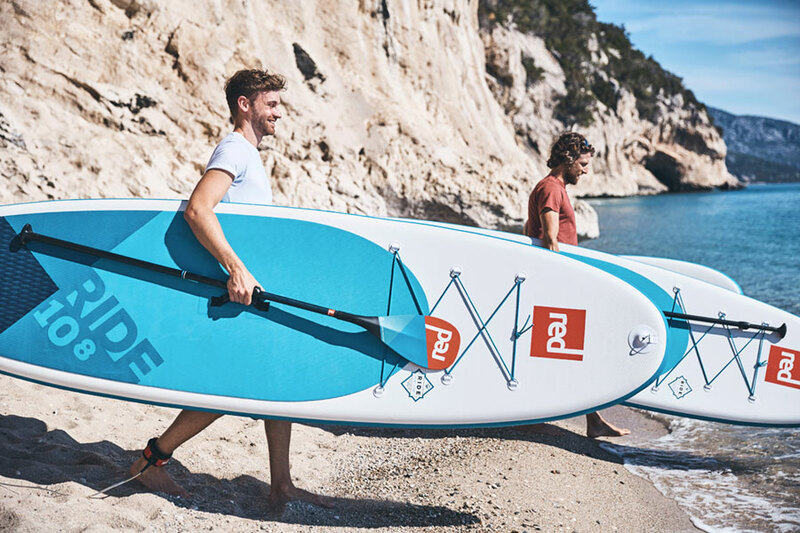 Last year they celebrated their 10th birthday; and this year Red paddle Co have brought out the Compact, a new innovative SUP board that allows you to travel more easily with a board that packs down to half the size. 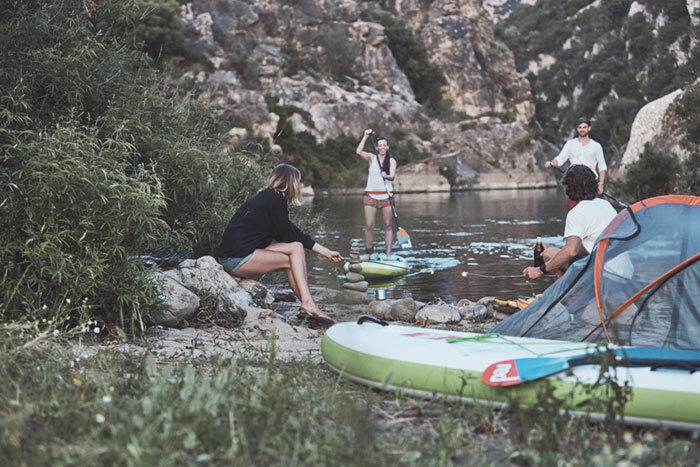 Nobody has been making high-quality inflatable paddleboards as long as Red Paddle Co. We've been paddling and selling their boards since the beginning, and to this day continue to support their innovative approach and drive to create the world's best iSUPs. 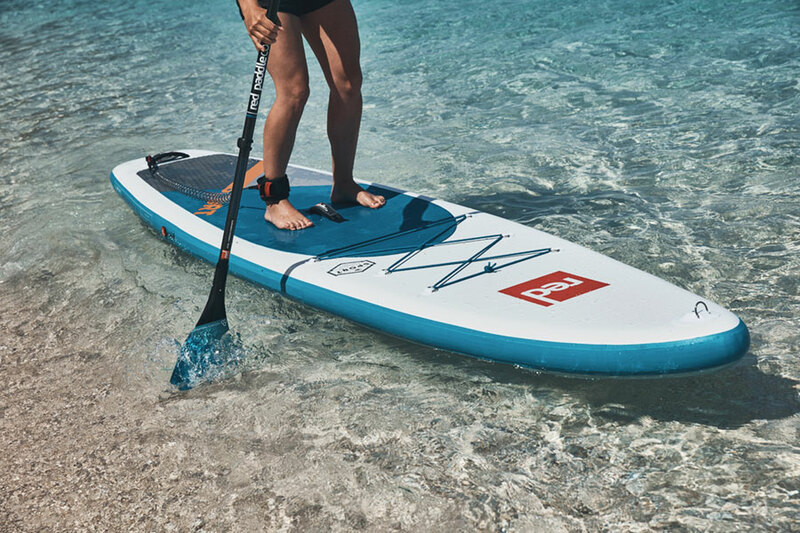 Scroll down for the low down on the new Red Paddle Co 2019 range of inflatable SUPs. The Red Paddle Co philosophy is at the heart of everything that they do. Adventure, freedom and fun; creating the means for you to 'explore your world'. The lighter and stiffer the paddleboard, and the easier the process of getting to and on the water, the more adventurous we can be. So Red Paddle Co strive to develop new technologies year on year to improve the already market-leading products. 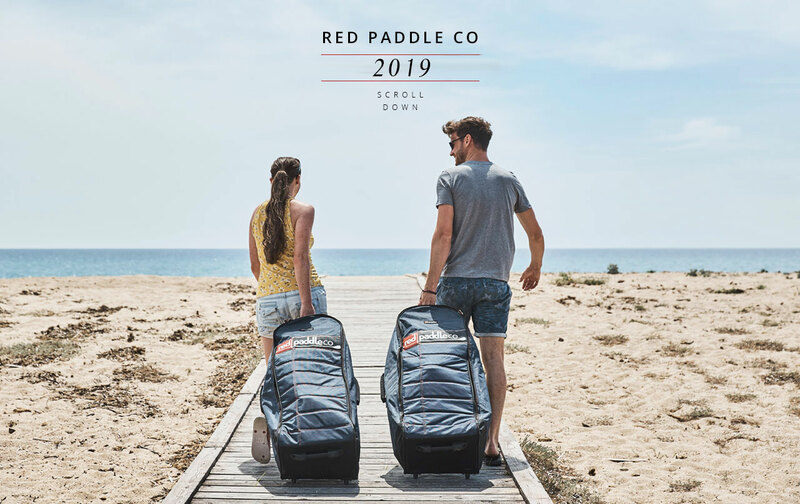 For 2019 the Red Paddle Co Ride, Sport and Voyager boards come with the new All Terrain Backpack. Extra padded straps make it comfortable to carry and are easily stashed. The wheels make walking with the pack a doddle. Travel the world with your Red Paddle Co SUP. Every Red Paddle Co SUP comes with the Titan pump. 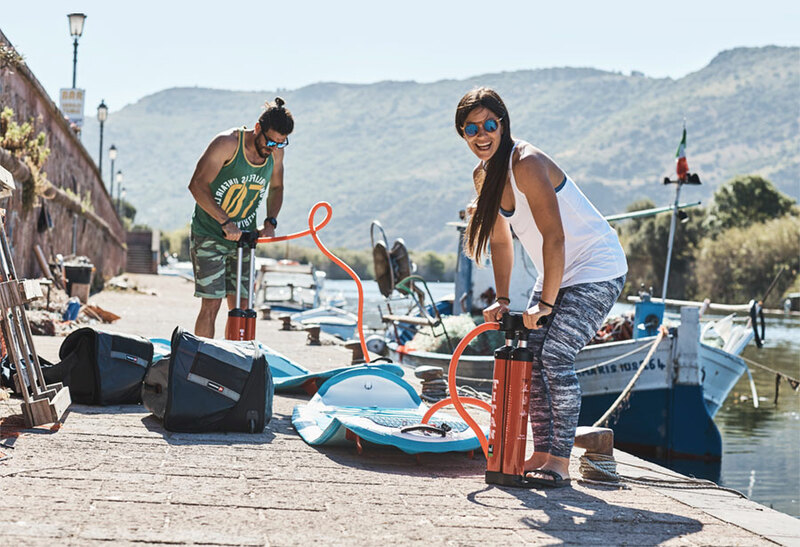 This double-barrelled beast can push air into your board at over 60mph, enabling you to fully inflate your SUP in around 5 minutes; twice as fast as with a conventional pump. Red Paddle Co never sit still when it comes to innovation and design and for 2019 Red Paddle Co did something no one else has.. or can do! They designed and released the folding board.. 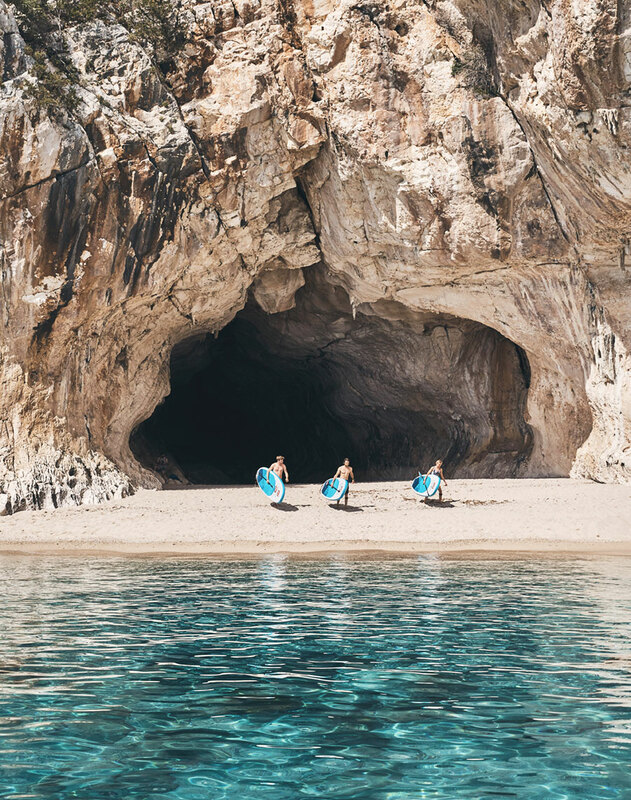 But what this means to us is a perfectly designed SUP board that can travel in a bag half the size of an average paddle board bag, allowing your SUP to travel and be easily stored when flying, traveling by train, on your yacht and in your camper van. Along side this, the board has had a complete redesign, they have made the 10'6 all round board 9'6 long, You still get the same great Red Paddle Co paddling experience but with a shorter board and a completely redesigned carbon 5 piece paddle (not 3) which means everything fits in the paddle board bag. The Red Paddle Co 10'6 Ride is the world's best selling inflatable paddleboard, and for good reason. Not only is it packed full of tech that makes it strong and stiff, its shape means that it will glide well over flat water and has just the right amount of curve to perform predictably and smoothly in the surf. This is a SUP that can be used by almost any rider, for any purpose. Here's to the next 10 years of the Red Paddle Co Ride! In 2018 the Red Paddle Co Explorer range was replaced with the 'Voyager'. Available in 12'6, 13'2 and tandem lengths, the Voyager comes fully equipped for adventure. 2 cargo nets, RSS side battens for stiffness and a front nose runner fin to aid tracking are just a few of the fantastic features of the Voyager. The Red Paddle Co Sport is one of our personal favorites. 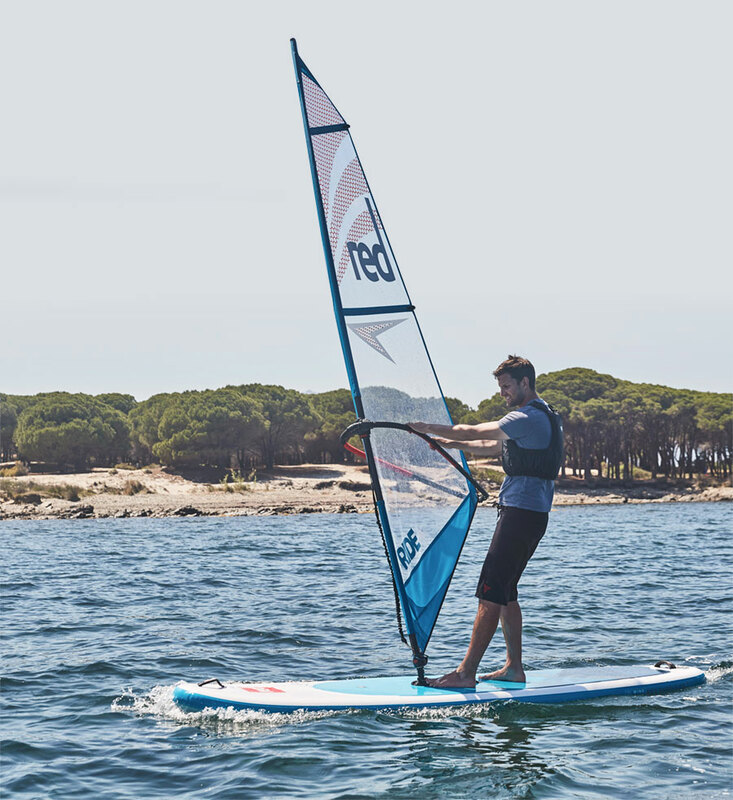 A step-up from the Ride range, the Sport allows more experienced paddlers to achieve greater speed and dynamic performance, whilst still being stable enough for all-round use for most paddlers. The Red Paddle Co 2019 range has a board to suit absolutely everybody. 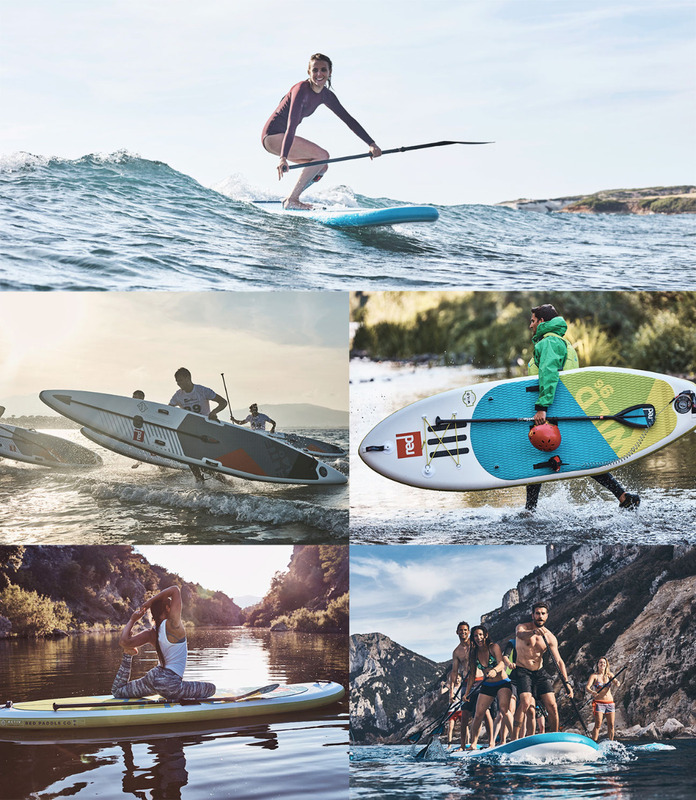 From WindSUP to tandem and from surf to race, we have the perfect board for you, in stock and ready to rock.